(21 yr old boy) He is no longer in the orphanage. Please consider sponsoring someone else. 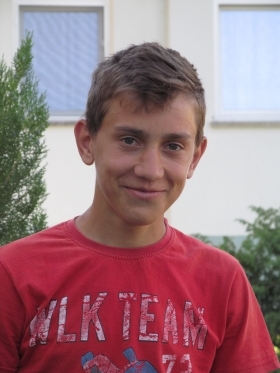 Marian-Daniel was born in 1997 to a very simple family of peasants. Marian's father left the country to find work in order to provide for his family and kept in contact with them for only a short time after. In June, 2010 local authorities contacted the family with news that the father had passed away. The mother was without any form of a stable income, working in the fields for nearby villagers was the only way to provide for her family. In the month of August she fell out of a horse drawn buggy and suffered injuries that would lead to her death. We were contacted by local Child Protection Services and asked if we could take care of 2 of the 4 children. The oldest sister and infant brother were taken into foster care by an extended family member. During his years at the orphanage we saw Marian-Daniel grow and mature from a young boy into a young man ready to take life into his own hands. Though Marian would have been able to do well in school and possibly pursue higher education, he decided that he desired to be independent more than anything. He settled for a 10th grade education, which is the minimum required by law and set out for the U.K. with the promise of a job there. He is a very hard worker and is earning a good living working in construction in the greater London area. He has kept in contact with some of the children at the orphanage as well as with some of the employees. 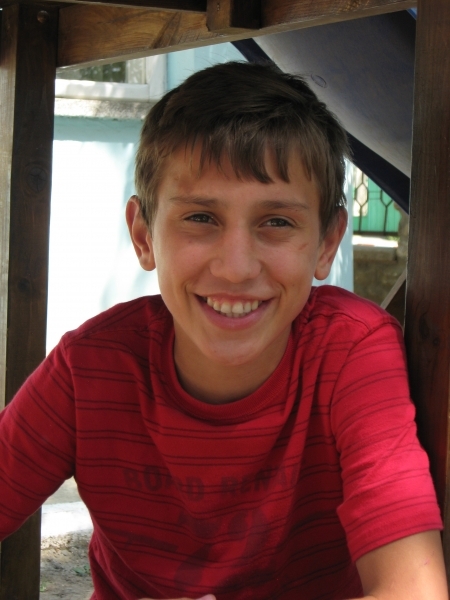 When the opportunity arose, he made a way for Ioan Viorica, one of his closest friends from the Hand of Help Orphanage, to join him in the U.K. and helped him settle in. Thank you for the difference you have made in the life of Marian! Please pray that the seed of the Gospel that was planted in Marian’s heart bear much fruit and lead him to a genuine relationship with our Lord Jesus.